Most insurance firms don’t cover termite damage in any policy. The facts are that termites cause significant damage to one house in 3 in Sydney. The Australian Standards AS 3660.2 & AS 4349.3 both recommend at least twelve monthly inspections but strongly advise more frequent inspections. Especially in areas of high risk. In Sydney Australia, the risk of termite (often called white-ant) infestation is high in most areas, particularly anywhere near the bush or within 100 metres of gum trees. 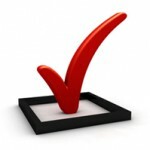 Make certain that your home is inspected every six to 12 months by our friendly accredited technicians. Home inspections for timber pests are known in Sydney, Australia as a pest inspection and may also include a building report. Other services and terms include Termite Inspections, Termite Reports, Pre-Purchase Property Inspections, or a PPI. These involve a thorough visual inspection of the sub-floor, roof void, interior, exterior, & other areas of the property. Most of Sydney is classed as a high risk for termites. For adequate termite protection for most homes in Sydney Australia, we recommend either Termidor termite treatment or Exterra termite baits. The report consists of eleven pages and digital photos upon request. Please remember a termite inspection report is designed to detect termites at an early stage as to reduce the amount of damage to your house. It does not stop termites. It is strongly recommended a termite inspection report is carried out at least once every twelve months and every three to six months for high risk areas. Note: There is no household insurance that covers you for termite damage. Professional Quality Torch This is always a must, and don’t let anyone attempt to inspect your house without one! Moisture Meter. Moisture meters pick up high moisture content in walls and timbers which could indicate the presence of. 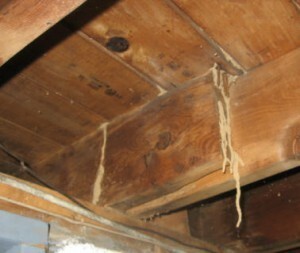 Termites bring up moisture from the soil and into the walls and timbers. Flat Head Screwdriver When termite damaged timber is located and it looks like termites are present, we use a standard flat head screwdriver & carefully lift up a sliver of timber, identifying the species of termites then seal it back up with tape so as not to disturb the termites. Thermal Imaging Camera & Termatrac Termite tracking device.